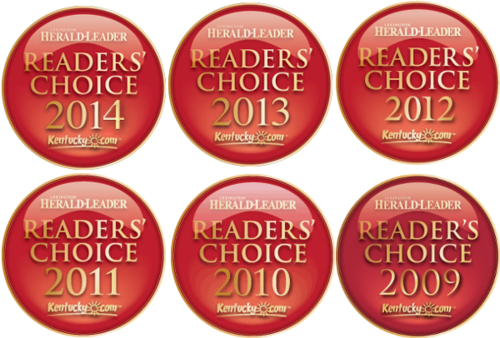 For the eighth time – including each of the past six years – Lexington Herald-Leader readers have voted Lowell’s their “Favorite Auto Repair Service” in the 2014 Readers’ Choice Awards. We also came in second place in the new “Favorite Oil Change” category. We are humbled and honored to have the support of our wonderful, wonderful customers. We are also very grateful to have such thoughtful and skilled employees. We promise to keep improving our service to keep deserving your appreciation. Lowell’s won the Repair Service category even when matched up against other great finalists who have national backing, multiple locations, and who service multiple vehicle brands (Tire Discounters and S&S Tire). In addition to the past six years, Lowell’s was also the top pick for Herald-Leader readers in 2007 and 1994 – to our knowledge, that’s every time the auto repair category has been up for voting.